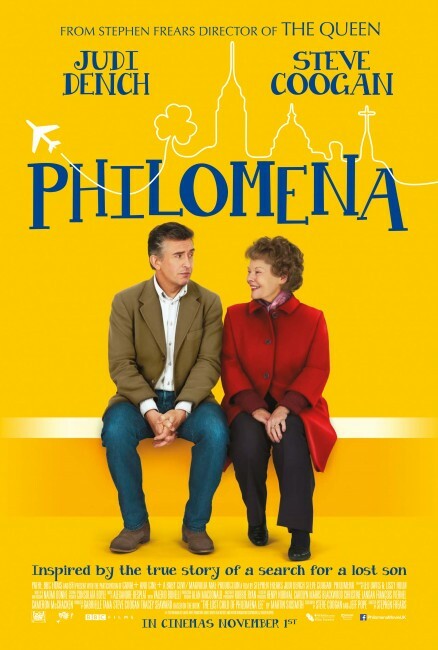 Philomena is about Martin Sixsmith, a journalist who has just been fired by his employer. Hoping to redeem himself, he takes on the story of the titular character, an old woman separated from her child for several decades after she was taken away from her when she was still inside a Catholic convent. As they go on with their search, they are led to go to America. Along the way, Martin and Philomena go together to look for her son as they challenge each other’s beliefs. Before the nominations were announced, I was admittedly skeptical about the chances of the film getting nominated for Best Picture not because it looks bad to me (I haven’t seen the film yet during the time), but because it feels like a story that’s too small and intimated to feel Best Picture-material. Not that there is anything wrong with that, but the Oscars have a tendency to go with films that are not necessarily small. So it was my surprise that this film got in the nominees for Best Picture. And after watching the film, I’m retaining my perception of the film: it’s a film that feels really small yet intimate. It is not a critique, but rather a mere observation. I appreciate the fact that it remained as sincere to the core of the material as possible. While the film as a semi-glossy visual feel, the film did not try to sugarcoat the story. It felt sincere and heartwarming despite the film’s attempt to sprinkle some scenes with humor. That, I owe the director for skilfully planting humor and drama in an alternating manner that is not disruptive or annoying. 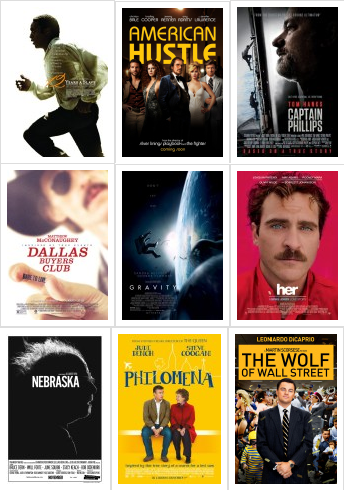 I have seen films that both succeeded in drama and in humor, but fails to properly put transition between the two. Luckily, the film has found a way of smoothly weaving these two elements. I know some find the mix of the two detrimental to the film; I was fine with that. However, I find some scenes a bit awkward. I am not much of a fan of the flashback scenes as well as the reliance of the film on archival/home video footage style shots. While I see the flashback scenes as a necessary part of the film, the archival footage-type shots feels like an attempt to make the film close to realty so that audience can easily empathize to the story, but in the end fails because it was the one that is disruptive to me, not the humor in the script. It may seem that I am defending the humor of the script, but for me, it helped define the character of Philomena as a character that can charm and at the same time create a sense of warmheartedness and a down-to-earth attitude. Philomena’s humor as a character establishes a person with more dimensions, and I appreciate that. The film is also has intelligently mounted visuals, giving the film a distinct visual appeal through its interesting cinematography, providing strong colors to highlight the tension despite the calm, and smooth editing. The music by Alexandre Desplat is also exquisite, delivering an enchanting feel to every scene, elevating the film’s emotional power by highlighting scenes with subtlety and control. However, I felt that the film is not really best picture-material, but more of a good vehicle for the actors to act and for the film to tug hearts. I do not deny that the story has a strong emotional punch, but one strong qualifying factor for me to say that a film is best picture-material if it actually works as a film in itself and not just reliant on a specific aspect. I cannot see the reason to mention Philomena as a great film aside from Dench’s performance which is quite great. The role might seem easy, and Dench surely charms her way in the film, giving a relaxed dramatic performance that occasionally hints on comedy. There are scenes of brutal honesty, though, that brings her performance on a higher level. She delivers both the drama and the comedy that the performance requires. The result is a beautifully delivered portrayal of a mother longing to see her long lost son. I do think it is not much of a stretch for Dench given her more challenging roles before, but what we have here is still a strong dramatic performance from this great actress. Coogan does fine as the eager journalist who questions Philomena’s faith the same time he questions his. It is not really a demanding role, given that much emotional weight is given to Dench’s titular role, but he provides a sturdy control of a restrained character. There is underlying doubt to himself, and Coogan shows it well by giving subtle hints to this emotional turmoil. Again, as much as I have warmed with his film, and while I do think it is a really exciting character study, I am not seeing the film’s higher value outside its central performance. The film makes for an interesting journey, and it does have its emotional impact that is quite visible and felt, but it lacks significance that makes a film fit to be called ‘best picture-material’. I kind of loved it, but not enough to make me scream “best picture!” for it.